Here is an excellent opportunity for members of Puna’s homeowner associations to learn valuable skills that can strengthen our communities. 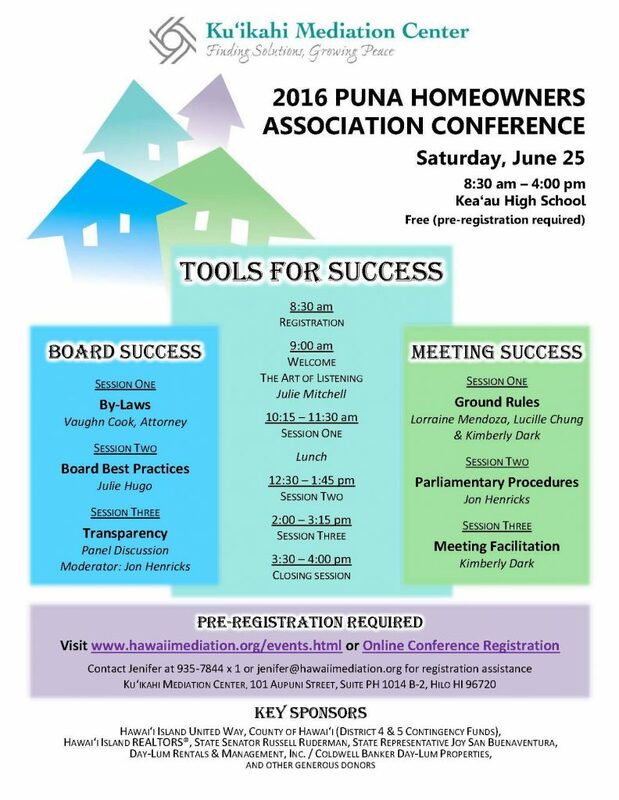 The 2016 Puna Homeowners Association Conference will take place on Saturday, June 25 at Keaau High School from 8:30-4pm. Speakers include: Vaughn Cook, Julie Hugo, Jon Hendricks, Lorraine Mendoza, Lucille Chung, and Kimberly Dark. Preregister here.